Welcome to the official eSupplements eBay store! Vitamin D3 has several benefits that cover a wide array of issues. By far the most notable is the ability to help promote bone density and work to prevent osteoporosis. D3 has been recommended by health professionals as a way to help your body remain strong and manage some of the higher bone stresses that life brings. Aside from the promotion of bone density, studies have shown an increased ability for the body to handle and diminish the effects of multiple sclerosis while implementing a vitamin D3 supplement. 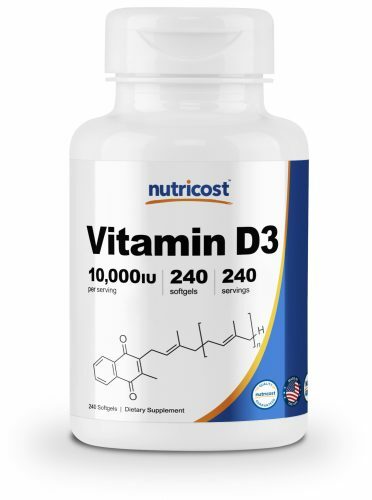 Studies have also found that women who take vitamin D3 have had a better chance of fighting the depression that often follows type 2 diabetes. They reason that the depression often comes because of a deficiency of vitamin D in subjects, and so supplementing may be a cost effective form of therapy. 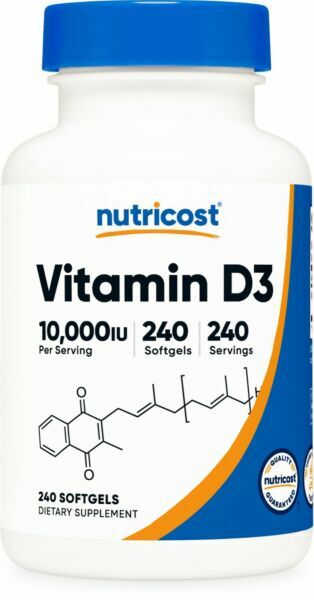 Athletes have also found success in increasing muscle strength during and following Vitamin D3 supplementation. Scientists have found that because of the increased bone strength subjects have been able to incrementally increase overall muscular strength. A. The risks of taking vitamin D are rare and generally mild, some have noticed allergic reaction-like symptoms. But nothing severe or often. Q. 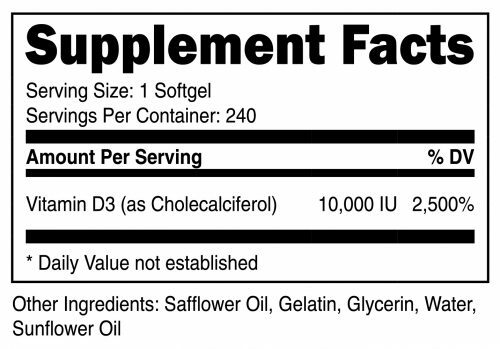 Can I take it if I don’t notice any vitamin D3 deficiencies? A. It is not recommended that you take any more than what is needed… if your body is functioning properly please consult your physician before taking it. Q. Why should I take the pills rather than sun tanning? A. While, yes, this vitamin can be obtained through sunlight, it is much safer to take it as a vitamin pill. The best time to absorb D3 is between the hours of 10 a.m. and 3 p.m., which is also the time that you’re at most risk for skin cancer. While sunlight is an excellent way to get a lot of vitamin D, other risks are common in that form. Q. What are your shipping rates for the US? A. We offer Free Domestic shipping. A. Shipping & Handling International: We have fast international shipping available to most countries. Rates may vary by location and order size. ***Please be aware it is against U.S. Law to underestimate the value of your package on the customs form. ***Please be aware we will not refund any international package that is refused. These additional costs vary depending on your location. Please refer to your local customs office to estimate these fees.